When I got married, I was careful to carry something from each of these categories down the aisle; a beautiful old dress, new Kenneth Cole shoes and a borrowed blue garter to fulfill the last two requirements. I don’t believe I gave it more thought than that. Had I done so, I might’ve had a glimpse into the origin of this saying as it is the ne’er stated last line that gives us our best clue. and a silver thruppence in her shoe. The three pence coin valued at three pennies was minted in Great Britain from the years of 1558 until the decimal system was introduced in 1971. Therefore, we know this is a British wedding saying and have a narrow 400 years in which to pin it down. Each of the five items in this verse represents a good-luck token for the marriage. Old represents family lineage and the bride’s past. New is a symbol of optimism about the life that she is about to create. The borrowed item is intended to come from a happily married friend whom the bride can depend on in her new life. And the color blue has been associated with weddings for centuries. Last, the silver thruppence in the bride’s shoe is an indication of wealth. Today, to celebrate the weddings of two lovely blogging friends Rukmini at Trumatter and Kath at MyFunnyLittleLife, I’ve whipped up my own version of this old chant and a vegan mushroom soup. In order to create it and stay true to verse, I’ve begun with the old; an old rosemary bush planted outside my kitchen door so that I can easily access it with a pair of kitchen shears, my favorite of winter foods – a lovely new head of cauliflower from my DesertRoots CSA, a beautiful recipe borrowed from Kathy at the Lunchboxbunch and a blue oyster mushroom – locally grown by Rhiba Farms. This is a new product for us in AZ! Preheat oven to 425 degrees. Rinse and dry the chopped mushrooms. 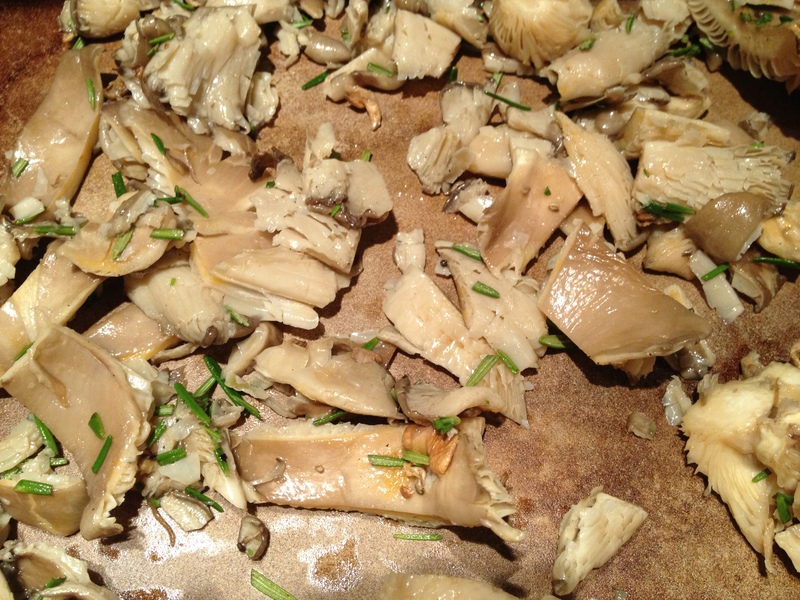 Toss mushrooms with the oil, vinegar, rosemary and garlic cloves. 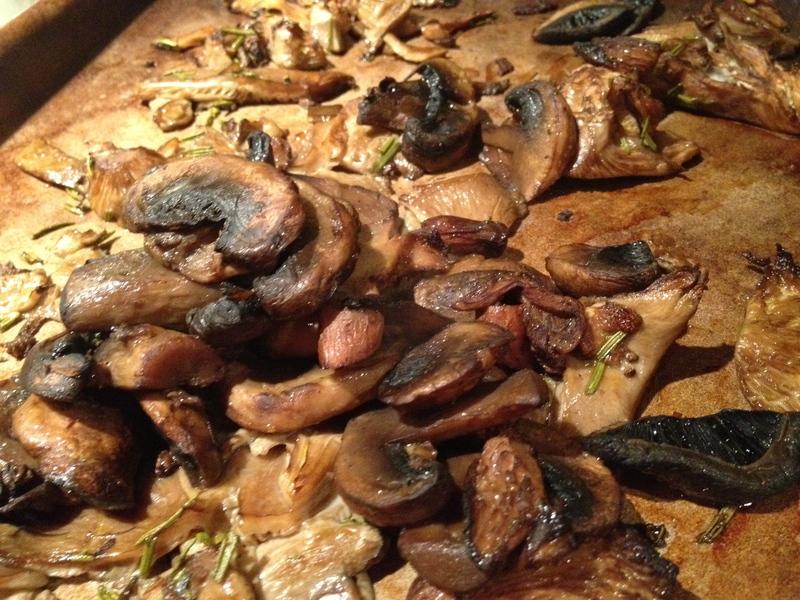 Lay mushrooms flat on a baking sheet. Roast for about 20 minutes or until they brown around the edges. 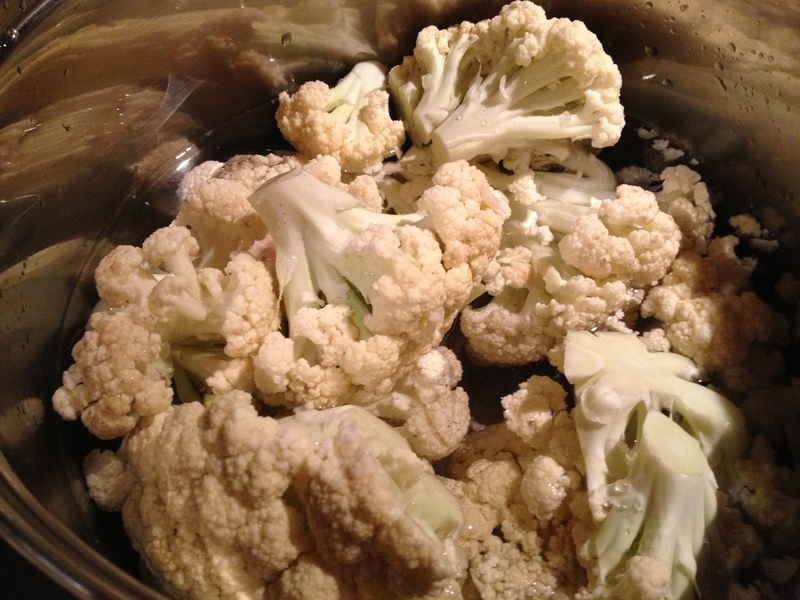 While mushrooms are roasting, boil the cauliflower in water. Drain the water, set aside tender cauliflower. Add the cauliflower and about 2 cups of vegetable broth to a Vitamix or similar blender. Blend on low until the cauliflower is smooth. Add in the mushrooms tasting along the way. 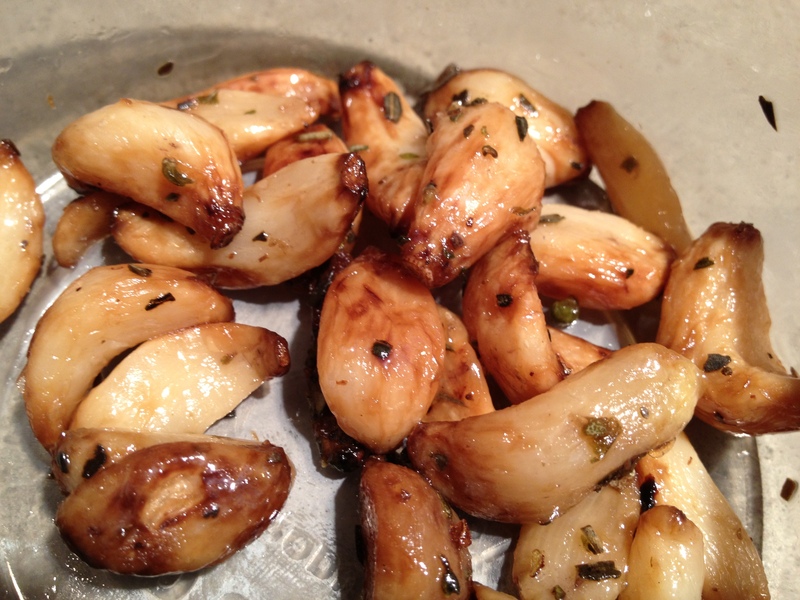 About 1/4 cup of the whole roasted mushrooms should be left for garnishing the serving bowls. Blend in a few of the tender ends of the roasted rosemary. Continue adding in broth and mushrooms and spices (salt and pepper to taste) until you reach a texture and flavor you like. Pour warm soup into serving bowls and garnish with leftover mushrooms, freshly chopped flat leaf parsley and rosemary. Ever thought about cooking a poem or verse? What might you make? Who knew?! Like you, I ensured I had the old/new/borrowed/blue (can’t recall what each was) but I hadn’t heard of the money in the shoe. Love how you tied it into a recipe! I may start putting a coin in my shoe as I get closer to retirement Diane! Awesome ‘before the recipe’ write up! Thanks Kirsten. I always feel guilty if I just give you the food. This looks wonderful! I’m going to give it a try. Roasting the mushrooms with the vinegar does special spectacular. Very nice, and the recipe sounds good, too! It is such a light recipe – a perfect lunch or an add to a dinner salad. Really Nancy? You don’t eat mushrooms? These are new to us. They are not grown in manure like others often are. Bravo! Most delightful, and too delicious! You either like them or you don’t. Unfortunately, my kids don’t. What a wonderful idea and great tribute to the blissful couples! Sounds delicious! Blogging is a fun way to create tributes, isn’t it? I never thought of it that way before I began. I cannot tell you how honored I am with the dedication. We completed a month now, exactly 1 month, being married and this post is such a treat. I didn’t know of the proverb but I sure do love mushrooms. Anything with Mushrooms and I’d dig it. Will try this out this weekend. You may want to do a variation with some of your exotic spices. Brilliant! I wish I’d thought of that one and yes, I can imagine just how delicious it would be. You know, I have each of those growing outside my kitchen. What a fun idea of life imitating art? …Or is that noms imitating verse? Noms imitating verse. I love it! Yes, me too Amy! As I told Diane, I don’t think I’m too old to stick a coin in my shoe however. Love mushrooms, so this sounds fantastic! I enjoy the history behind the old wedding saying. Thanks for sharing. You’ll have to check out these beauties from Rhiba Farms next time you’re at the market. I was really surprised. What a beautiful soup and a wonderful tribute to friends. Wish I could smell it now! I’ll definitely be trying your recipe. Roasting with vinegar and rosemary creates a powerfully delicious aroma. I love your tie-in to the wedding saying. 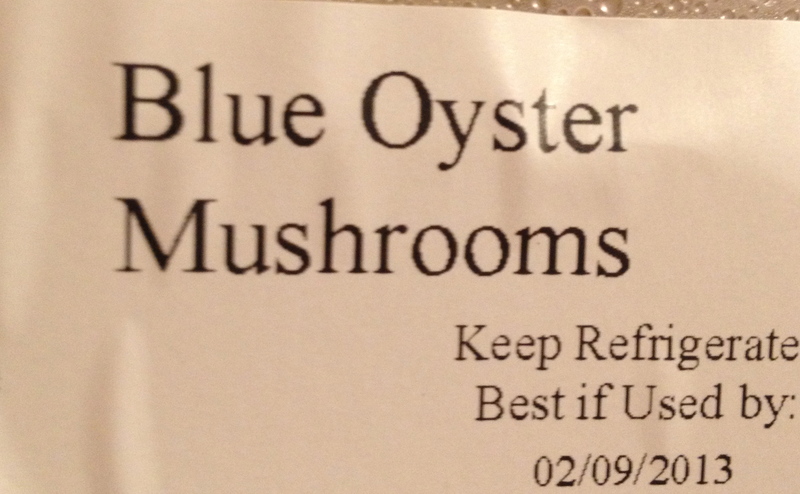 I never would have thought of blue oyster mushrooms for the blue bit – nicely done. Plus, the soup looks beautiful and sounds delicious! I doubt I would’ve thought of it had I not been thinking about these lovely weddings. What a nice idea! And the soup sounds delish. I think it could be a very cool concept to create meals with a back story, don’t you. Envision an anniversary dinner that was the tail of the marriage or of a childhood. Give it a try and tell me what you think, Charlie. You just gave me an idea for a post Tandy! I received pennies with knives when I got married. Off to do research. 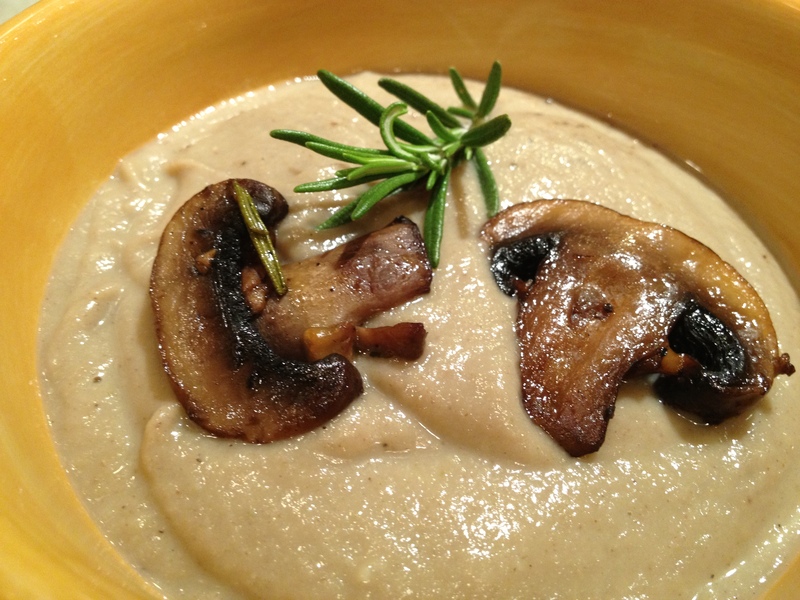 Definitely making this mushroom soup this weekend! We often say things like old verse without knowing the roots, don’t we? It’s fun to pull them apart sometime. You are just the best, Tammy! I love you celebrating your blogging friends weddings with a wonderful recipe. Thank you for sharing it all with us! The possibilities of the celebrations are endless, aren’t they Debbie? Aww, thank you so much for this lovely post, Tammy! I had no idea where the saying comes from and that it has a fifth line, and I must admit I didn’t account for having all of those items … But I hope it will work out nevertheless. (I have a good feeling that it will. 🙂 ) Thank you again, so kind of you! Make sure to tell me when you make it! What a lovely idea to recreate this rhyme to make a recipe, Tammy! The recipe looks scrumptious. You know, I think I’m on to something Kate. Polenta may have gone over better with my children! First of all, what a good idea to utilize a recipe for a wedding with that magical chant cooked right in. The recipe looks mouth-watering. Today is the last official day of my detox, so will soon start making new recipes–such as this one. Looks so good, Tammy. Oh, I’ll pop on over to read more about it. I commend you Kathy! Love the lucky token for marriage. It makes us realize what is important for a successful, blissful marriage. The soup just looks divinely delicious. Have a wonderful day and best wishes to your family. Showing our kids a strong marriage is a gift that they’ll take with them. Ooh this looks really good and healthy too. I will definitely try this. Thanks! Cauliflower is a secret weapon! What a creative and charming way to introduce a delicious recipe and also to honor your soon to be married friends. I’m definitely making this recipe and sending it to my daughter and her husband. It’s light but the roasted mushroom and vinegar is really tasty.